Croft junior Gabrielle Schust was named a 2018 Barksdale Award Winner by the Sally McDonnell Barksdale Honors College. Gabbi, who is focusing on Latin America, Spanish, and international governance and politics, is planning to travel to England this summer to interview women in religious orders who provided medical care to the poor in the 1960's and 1970's. While studying abroad next year, she will interview women who do similar work in religious orders in Peru. Rates of poverty, maternal and fetal mortality, and life expectancy in the Andes today are quite similar to those in England before the advent of the National Health Service, offering Gabbi a fascinating basis of comparison. 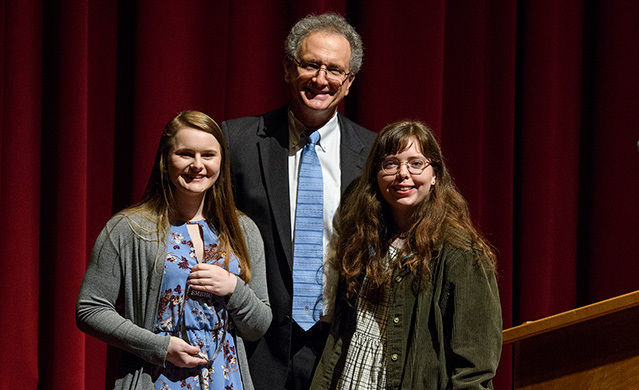 Barksdale Award Winners are given $5000 to support scholarly and creative endeavors.